Every culture has their version of dumplings, and I think it’s pretty safe to say that gyoza (餃子) are Japan’s favorite dumplings. 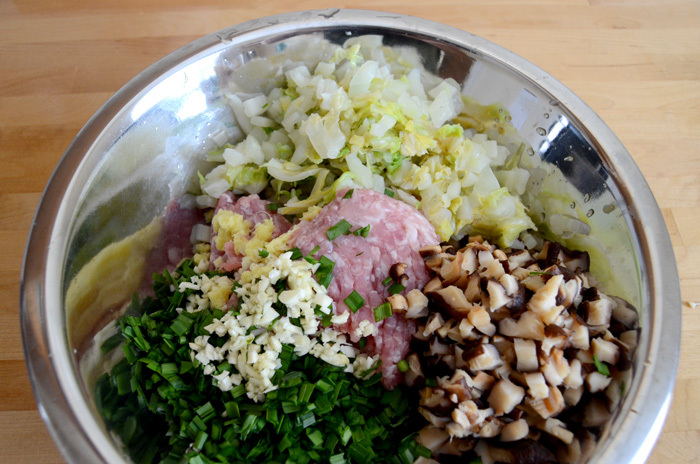 Adapted from the Chinese potstickers (Jiaozi), these are a staple side dish in any ramen store or izakaya (pub). They take a bit of time to make, but it can be a really great thing to do with friends or kids, the best part being how they look doesn’t affect how they taste! 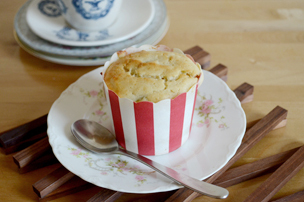 They always taste better when made from scratch and are definitely healthier with the amount of veggies in this recipe. 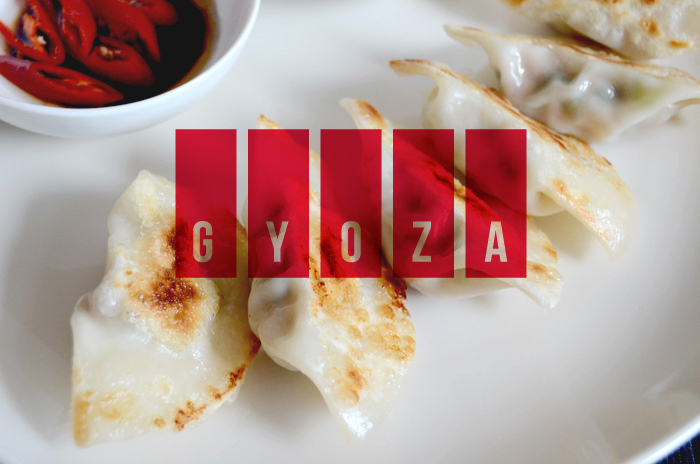 Good gyoza skins are crucial for this recipe — you want to find the round, white variety and thinner is always better. I prefer fresh skins over frozen ones as they can be a little tricky to defrost. I leave them in the fridge maybe 30 minutes before I’m ready to use them, and separate them carefully before they defrost too much and the moisture makes them sticky! 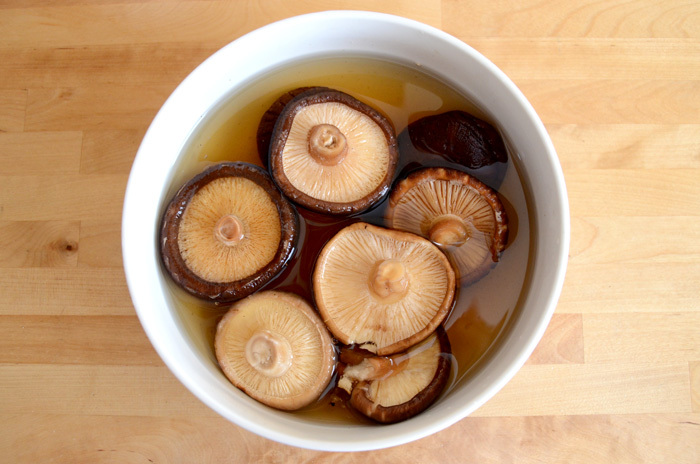 Start this recipe a night before, by leaving the shiitake mushrooms in a bowl of cold water. Place a smaller bowl or plate over the mushrooms to make sure they are completely submerged, and leave in the fridge overnight. If you don’t have time, you can microwave the mushrooms in cold water for a few minutes. I also find that the garlic chives are a key ingredient in this recipe, they are worth finding at an Asian grocer. They look a lot like spring onions but they aren’t as long and they are flat instead of being tubular. The shiitake mushrooms should be plump and soft. 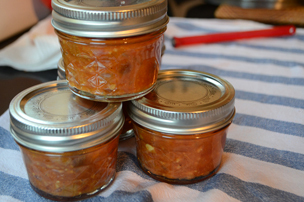 You can use the water as a stock for soups and braises. 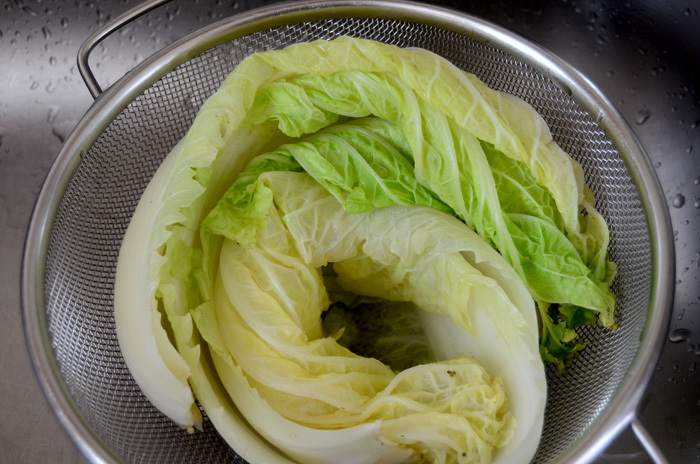 Remove 5 to 6 leaves of Chinese cabbage, or wombok, and steam or boil in a large pot for a few minutes, until the stalks are translucent. Leave them to cool while you prepare the other ingredients. Chop garlic chives finely, as well as the garlic. Grate a 3cm piece of ginger. Squeeze the water out of the shiitake mushrooms and chop finely into 5mm cubes. 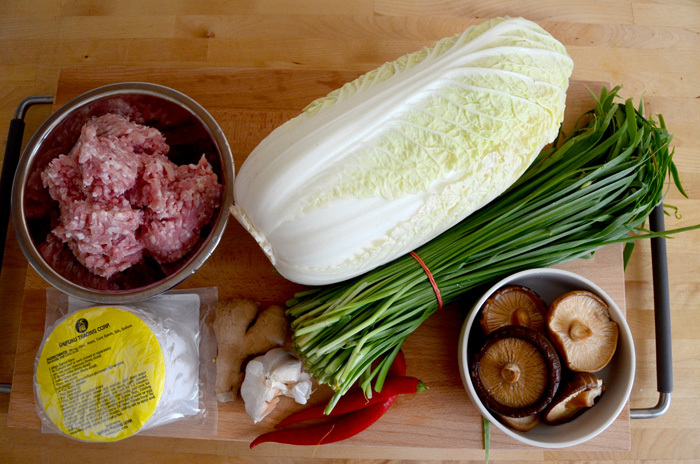 Squeeze the water from the cabbage and chop to a similar size to the shiitake. 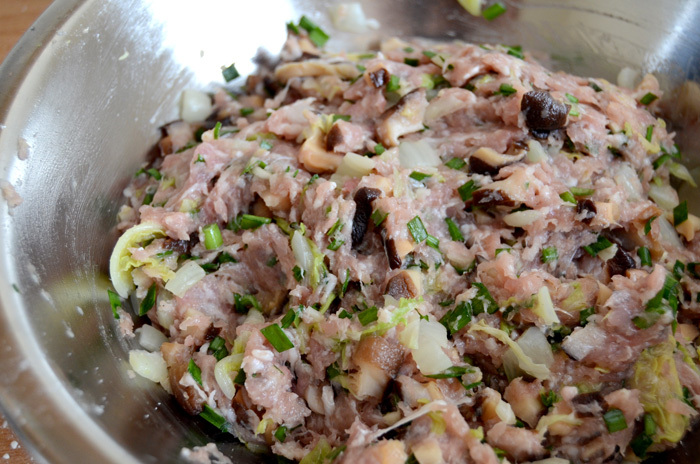 Combine all ingredients in a bowl with the pork mince. Add the salt, pepper, sesame oil and soy sauce. Stir the mixture well with your hand, making sure all the ingredients are combined evenly, until the mixture becomes a slightly sticky paste. 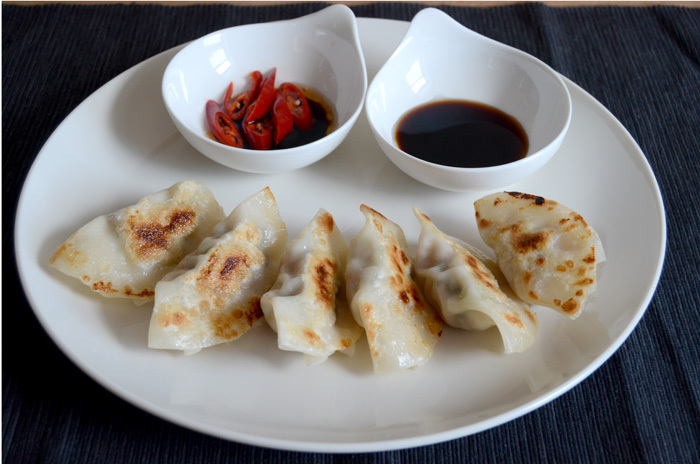 Here’s how I fold my gyoza – the Japanese gyoza usually have a flat side and a gathered side. Place a small amount of filling in the middle of the skin using a teaspoon in a slightly elliptical shape. Draw a thin line of water along half of the skin, and pinch the left end to close it. Keeping the left hand where you want the fold to start, use your right hand to create folds so that you get about a 5mm overlap. 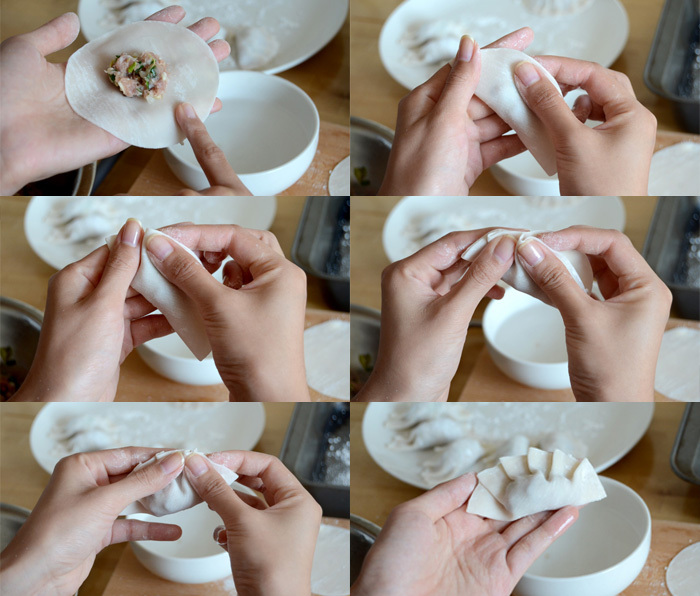 Continue going around the semi-circle, ensuring the gyoza is well sealed all around. Here it is from the top; I usually make about five folds but there is no rhyme or reason. 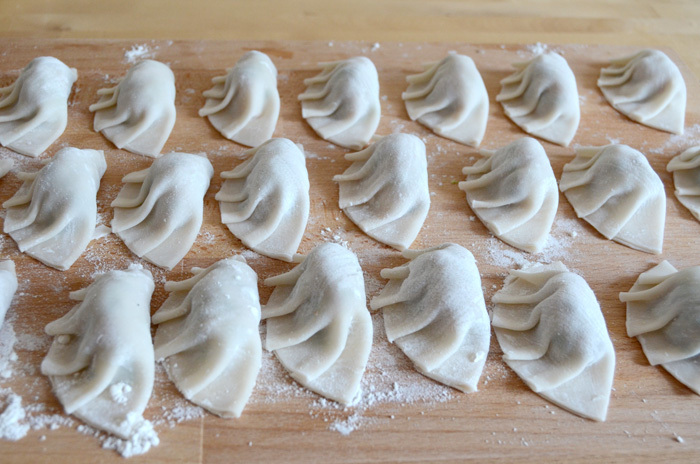 Step and repeat, placing the dumplings on a floured surface so they don’t stick to each other or the board. I’ve seen shops cook them on the smaller surface but I usually fry them on the flat side to get the nice crispy edges. 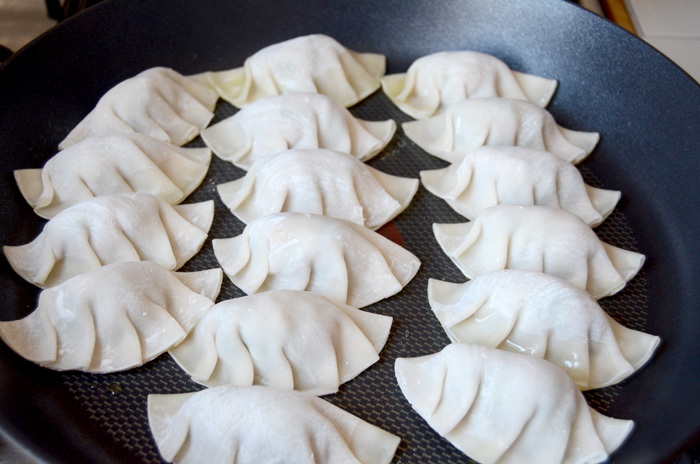 Heat some oil in a frying pan until hot, and place the gyozas flat side down. Fry them for a few minutes, or until you get some color on the undersides. Add some water about 1/4 of the way or 1cm deep and place the lid on the pan. This steams the fillings so they cook through. Fry for about 10 minutes, or until all the water evaporates. 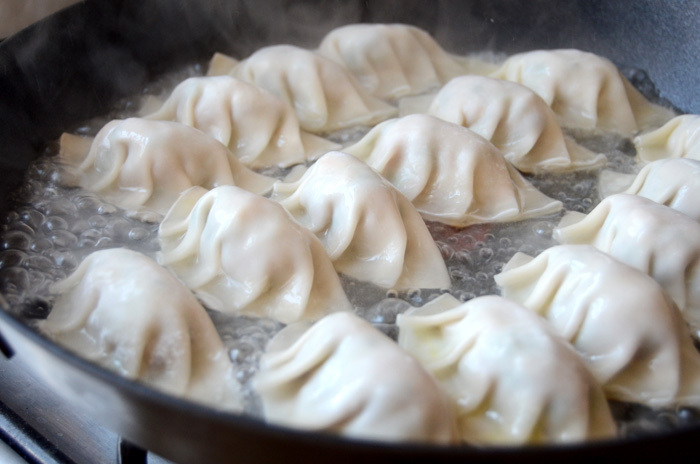 Remove the lid and let the dumplings dry out on the pan for a few minutes. You can add a little oil if your pan isn’t very non-stick. 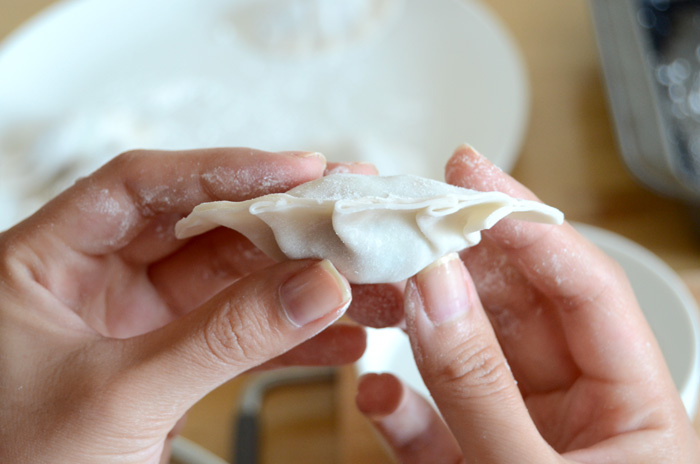 Gently tease some of the dumplings with a turner to see if they will move; the key is not to panic if they have stuck a little, give it some more time and they tend to harden/crisp up. I served mine with two dipping sauces, the traditional soy sauce/vinegar sauce, as well as a slightly sweet/spicy version with honey and red chili. These freeze beautifully and you can cook them straight out of the freezer either on the pan or in a hot soup, so they’re great to have in stock. If you are freezing them, keep them separated on a flat tray with flour until they are frozen, then you can throw them into a ziplock bag or storage container.